For many today is ANZAC Day as well as the centenary of the Gallipoli landings but it is all too easy to forget the NZ in ANZAC. The New Zealand Expeditionary Force was part of the Australian and New Zealand Army Corps and it’s units landed alongside the Australian Imperial Force (AIF) battalions at what would be known as ANZAC Cove a century ago today. The first troops of the New Zealand Brigade to land were the Auckland Battalion, at noon, and the Headquarters and 1st and 2nd Companies of the Canterbury Battalion, at 12.30 p.m. These were immediately ordered to reinforce the left flank of the 3rd Australian Brigade, and to fill the gap between that flank and the sea. While the order was in process of being carried out, the two Canterbury Companies became separated on Plugge’s Plateau, a quarter of a mile east of the beach. 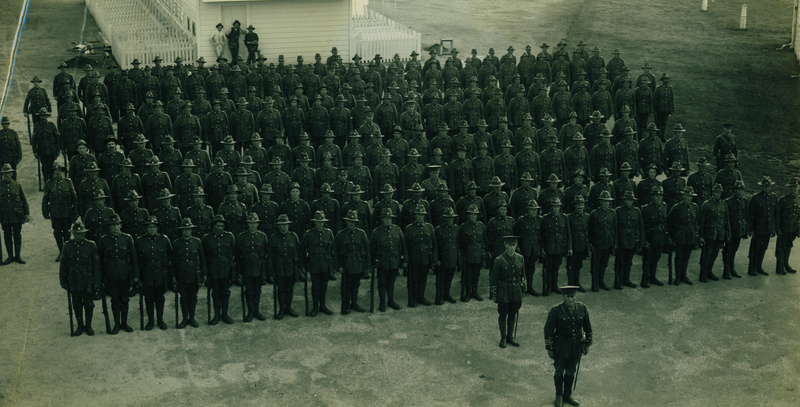 There was great confusion, as the men of the various companies had not only become mixed with one another, but in some cases had attached themselves to the Auckland and various Australian Battalions; while Aucklanders and Australians were picked up by the officers commanding the various Canterbury parties. Lieutenant-Colonel Stewart with the 2nd Company got well forward, and took up a position on the upper portion of Walker’s Ridge, which ran north-east from near Pope’s Hill down to the sea. They immediately became involved in heavy fighting, and Lieutenant-Colonel Stewart, going back to bring up reinforcements, collected a large party of Australians, and was killed while exposing himself in leading them up to the firing line. There the 2nd Company and the Australian reinforcements repulsed with the bayonet three Turkish attacks, and then withdrew slightly to more suitable ground, where they dug in. These men were among those who paved the trail of New Zealand immortality and legend a century ago: we must always remember the NZ in ANZAC.